The Discover The Force Ric Olié is the second figure based on The Phantom Menace character, the first was released in 1999 in the Episode I line. This time out, sharing the body and most of the accessories of the Naboo Pilot from the same wave of figures, Hasbro has flawlessly updated Ric Olié for the modern collection. 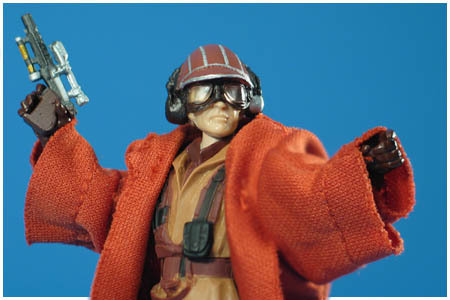 The figure is all new, save for the legs which were borrowed from the 2012 Vintage Collection Naboo Royal Guard. Ric Olié's helmet has the goggles down making it unique from the Naboo Pilot helmet which has the goggles up.